A nation’s rate of incarceration is the number of people incarcerated as a proportion of its total population. Internationally, there is broad variation in the degree to which nations incarcerate their citizens, with a nearly 40-fold difference between the highest and lowest rates. The incarceration rate is often interpreted as a measurement of the degree of punitiveness in a society, although it is an imperfect measurement. Voting is a fundamental right of democracy that should include all individuals, including those with felony convictions. In his testimony before the Senate Judiciary Committee, Marc Mauer urges Congress to pass the Sentencing Reform and Corrections Act of 2015, a bipartisan reform bill introduced earlier this month. The legislation would take a number of steps forward to reverse harsh penalties that have come at a ruinous cost to families and taxpayers while producing diminishing returns for public safety. The bipartisan REDEEM Act would repeal the felony drug ban for some people convicted of non-violent drug offenses. It would allow the sealing of criminal records and improve the accuracy of FBI background checks. And it would make necessary improvements to the treatment of young people who encounter the juvenile justice system. The Sentencing Project submitted a written statement for inclusion in the record of a Senate Judiciary subcommittee hearing on “The State of Civil and Human Rights in the United States.” In this statement, we seek to bring attention to the causes of mass incarceration and racial injustice, the failures of mandatory minimum penalties, and the deeply problematic policy of felony disenfranchisement. Marc Mauer testified before the Nevada Advisory Commission on the Administration of Justice on trends in sentencing and incarceration over the past several decades. The testimony assesses the impact of incarceration on crime rates, examines the evolving movement for reform, and recommends that policymakers consider an appropriate mix of prison and non-punitive approaches to promote public safety. Marc Mauer and Nazgol Ghandnoosh, Ph.D.
Three states – New York, New Jersey, and California – have reduced their prison populations by about 25% while seeing their crime rates generally decline at a faster pace than the national average. The Sentencing Project argues in comments submitted to the U.S. Sentencing Commission that there is no sound basis on which to have sentence dates determine sentence lengths, and that partial retroactivity would exacerbate racial disparities in federal sentencing. In comments submitted to the U.S. Sentencing Commission, The Sentencing Project argued that there is no sound basis on which to have sentence dates determine sentence lengths, and that partial retroactivity would exacerbate racial disparities in federal sentencing. A provision of the 1996 welfare reform legislation passed by Congress subjects an estimated 180,000 women in the 12 most impacted states to a lifetime ban on welfare benefits. Marc Mauer’s landmark book on race, class, and the criminal justice system has been adapted as a work of inspired graphic storytelling by Sabrina Jones. When crises strike, there is often a temptation to tighten sanctions and add new punishments, but we know that these actions have a disparate effect on at-risk youth—especially youth of color—long after the crisis has passed. Testimony of Marc Mauer, Executive Director of The Sentencing Project, prepared for the U.S. Senate Judiciary Committee Hearing, "Rising Prison Costs: Restricting Budgets and Crime Prevention Options." Marc Mauer's testimony before the U.S Sentencing Commission on issues of racial disparity in federal sentencing following the changes in federal guidelines as a result of the U.S. Supreme Court's decision in Booker v. United States. In a special issue of The Prison Journal, Marc Mauer examines the causes and consequences of the extreme racial disparities in incarceration in the U.S. The article assesses effects on public safety and communities, and offers recommendations for reform in policy and practice to reduce unwarranted disparities. In a letter to the U.S. Senate Judiciary Committee’s Subcommittee on the Constitution, Civil Rights and Human Rights on the occasion of its hearing to review recent voter suppression, The Sentencing Project urged the subcommittee to consider the impact of felony disenfranchisement laws and to support reforms. In response to a recent hearing on the employment challenges faced by people with criminal records, The Sentencing Project submitted a letter to the Equal Employment Opportunity Commission supporting its review of the issue and urging aggressive action to stop employment discrimination. Americans should be troubled by the extent incarceration has become a fixture in the lives of racial and ethnic minorities. Beyond the socioeconomic consequences, racial disparities in the criminal justice system erode trust in the overall justice system. In testimony before the U.S. 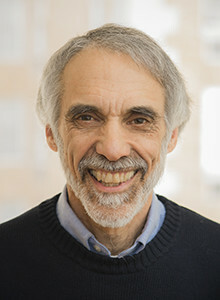 Sentencing Commission, Marc Mauer argued that the federal sentencing guidelines for crack cocaine should be applied retroactively for individuals currently in prison. If adopted by the Commission, retroactivity would reduce the sentences of about 12,000 federal prisoners by an average of three years. In this article published by the American Bar Association, The Sentencing Project's Executive Director Marc Mauer assesses the range of policy changes at both the state and federal level, and provides an analysis of the obstacles to more substantial reform. Testimony delivered by The Sentencing Project's Executive Director Marc Mauer to the U.S. Sentencing Commission regarding implementation of the Fair Sentencing Act of 2010. This article published in Judicature examines two issues regarding mandatory sentencing: First, what effect have federal mandatory minimum penalties had on public safety? And second, to what extent have these penalties exacerbated existing racial disparities within the criminal justice system? This testimony before the House Judiciary Subcommittee on Crime, Terrorism, and Homeland Security examines how convictions can impose barriers to reentry for formerly incarcerated reforms and provides recommendations for reform. Testimony to the United States Sentencing Commission on the impact of mandatory minimum penalties in federal sentencing. Testimony submitted to the House Judiciary Subcommittee on the Constitution, Civil Rights, and Civil Liberties in strong support of H.R. 3335, the Democracy Restoration Act of 2009. Four states – Kansas, Michigan, New Jersey, and New York – have reduced their prison populations by 5-20% since 1999 without any increases in crime. The Integration Debate (Routledge, 2009) explores both long-standing and emerging controversies over the nation's ongoing struggles with discrimination and segregation. The Sentencing Project's Executive Director Marc Mauer authored a chapter exploring the relationships between race, class, and criminal justice policy. In his testimony before the House Judiciary Subcommittee on Crime, Terrorism, and Homeland Security, The Sentencing Project's Executive Director Marc Mauer identifies the fundamental inequities that uniquely exist within the federal drug laws for crack cocaine, as well as the inefficiencies in enforcement operations that result from these laws. The premise behind racial impact statements is that policies often have unintended consequences that would be best addressed prior to adoption of new initiatives. In this article published in the American Bar Association magazine, Criminal Justice, The Sentencing Project's Executive Director Marc Mauer describes how racial impact statements can improve racial justice outcomes in the criminal justice system. One way to address the dramatic racial disparities that pervade the criminal justice system is by adopting racial impact statements as a requirement for consideration of new sentencing legislation. Our analysis, based on an analysis of 25 years of government data regarding drugs and the criminal justice system, finds that the "war on drugs" has increasingly targeted low-level offenders for arrest and incarceration, and is largely failing to provide adequate treatment in prison. This testimony examines the impact of the current generation of mandatory sentencing policies in the federal system, the vast majority of which have been applied to drug offenses, and the lessons that can be taken in order to develop more effective public policy. This testimony recommends the reform of policies such as “school zone drug laws” that produce unwarranted racial disparities, requiring racial impact statements to accompany new sentencing proposals, establishing racial justice task forces, and promoting justice reinvestment. In this revised edition of his seminal book on race, class, and the criminal justice system, Marc Mauer, Executive Director of The Sentencing Project, offers the most up-to-date look available at three decades of prison expansion in America. National analysis finds marijuana arrests constitute 82% of the increase in drug arrests for the period 1990 to 2002, which represents nearly half (45%) of the 1.5 million drug arrests annually. The text of the Fifteenth Annual Walter C. Reckless Memorial Lecture at The Ohio State University delivered by Marc Mauer in 2004. This briefing paper provides an aid to policymakers and the public by reviewing what is known about the effects of incarceration on crime. Marc Mauer's remarks at the International Corrections and Prison Association's 6th Annual Conference in Beijing, China. First-of-its-kind study documenting the localized impact of disenfranchisement; quantifies the role that disenfranchisement plays in general voter registration patterns as well as community political participation in Atlanta, Georgia. In this report we assess the dramatic increase in the imposition of life sentences in the context of incapacitation and public safety, fiscal costs, and the sentencing goal of punishment, including the implications for both victims and offenders. In testimony delivered to the United States Commission on Civil Rights, The Sentencing Project's Assistant Director Marc Mauer identifies the factors responsible for exorbitant U.S. incarceration rates and provides international comparisons. The dramatic expansion of the prison system, fueled by incarceration for drug offenses, has combined with new legislative initiatives to subject growing numbers of people to significant hurdles in access to housing, education, and financial benefits as they reenter the community. Although prisons create jobs, an examination of rural counties in New York reveals that prison building has few economic benefits for local communities. Our analysis of different measures of drug offender behavior overall indicates that there is significant potential for diverting many state prison drug offenders from incarceration. This report highlights the significant legislative initiatives of 2001 in regard to criminal justice policy, and provides an overview of fiscal actions taken or proposed to date that are likely to affect the course of policy in many states. Published in Civil Rights Journal, this article provides an overview of the rationale underlying disenfranchisement policy, consequences of the practice, and the need for reform. The first comprehensive examination of the hidden ramifications of conviction on individuals, families, and communities, incorporates essays from leading scholars and advocates and defines a new field of inquiry in criminal justice. This report examines the impact of drug offenses and sentencing policy on women at the national level and in New York, California and Minnesota. In testimony before the United States Commission on Civil Rights, Marc Mauer documents the causes and consequences of high rates of criminal justice contact for black men and provides policy recommendations for reform. In this follow-up study, we find that many of the contributing factors to high rates of criminal justice contact for young black Americans five years ago endure or have worsened in the intervening years.